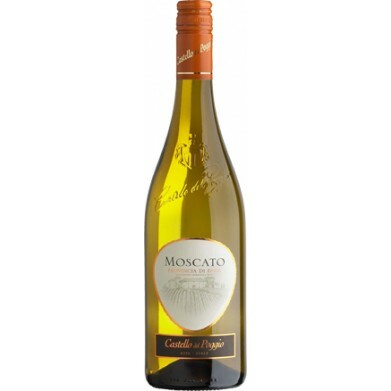 CASTELLO DEL POGGIO MOSCATO for only $10.99 in online liquor store. Sweet but not at all cloying; well-balanced and with an extremely refined fruitiness. Fermentation is allowed to progress until the wine has obtained 5% alcohol. Then the grape's natural sugar content is preserved by refrigeration in order to give the wine its unique sweet and aromatic characteristics. Excellent at the end of a meal with desserts or fruit (especially fruit salad).